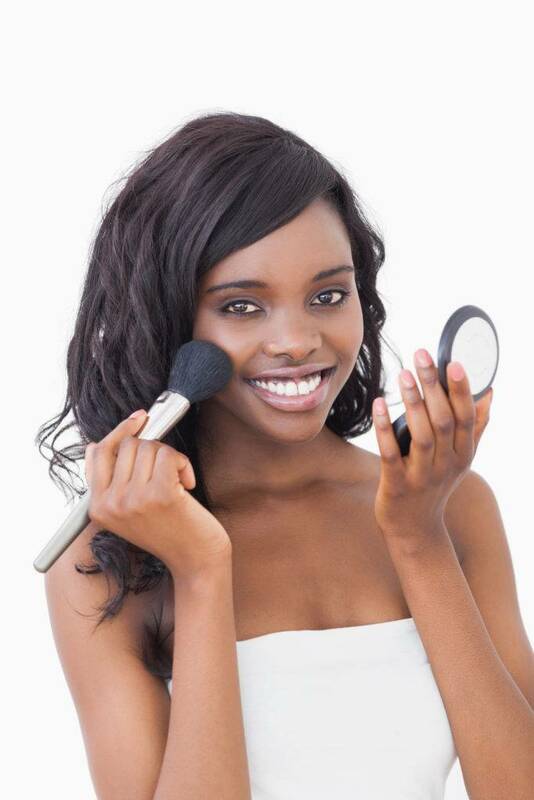 As you may already know, brushes are an essential component of flawless makeup application. These tools of the trade can make a huge difference in how your makeup turns out. More often than not finding the perfect brush or set of brushes comes down to two things – quality and personal preference. For example – you may prefer an angled eyeliner brush when your best friend likes a flat tip. The quality of the brush can make or break your entire look. Brushes that don’t blend well and shed all over the place have no business being in your makeup bag. Budget is also a factor of course. 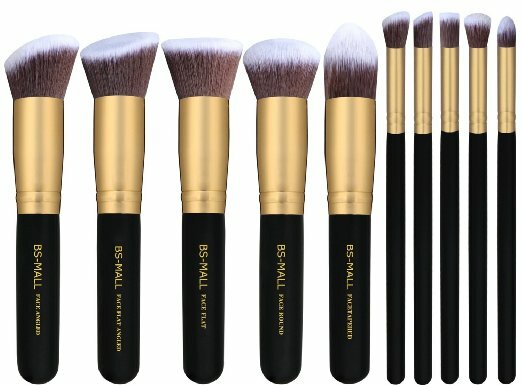 Some brush sets retail at $650… Yes, you read that correctly. No worries, though I am not expecting you to pay that much, haha. 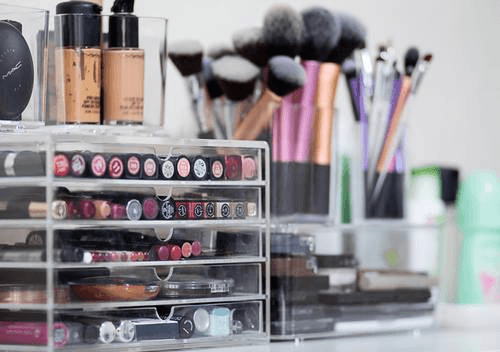 So, here is a comprehensive guide to some of the best brands out there to fit every budget, as well as, information on how to clean and care for your brushes. Typically made from animal hair or fur such as squirrel, mink, pony or goat hair. Natural bristles are best suited for use with powder-based products because the individual hairs contain little “teeth”. Squirrel and Mink brushes are not cruelty-free, so I personally don’t recommend them. Are man-made from polyester or nylon. Synthetic fibers work best with cream or liquid based products because they are less absorbent. For best results look for a set that contains both synthetic and natural bristle brushes. 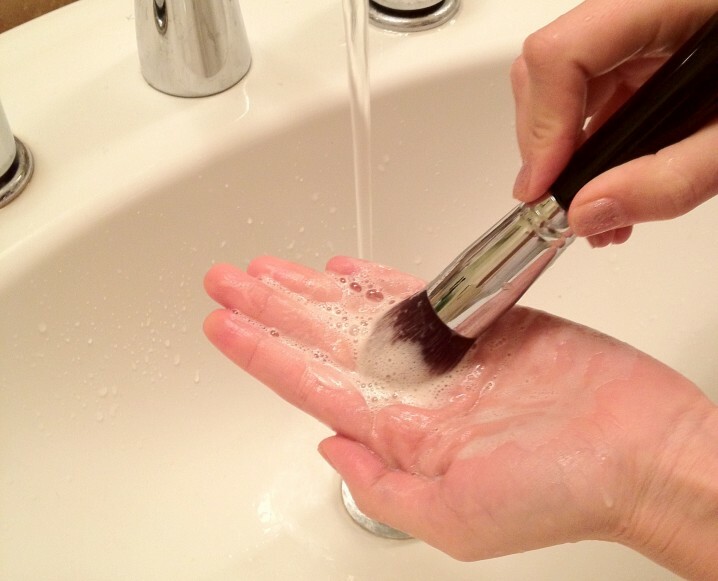 It is good to wash your makeup brushes once a week to keep them clean and hygienic. 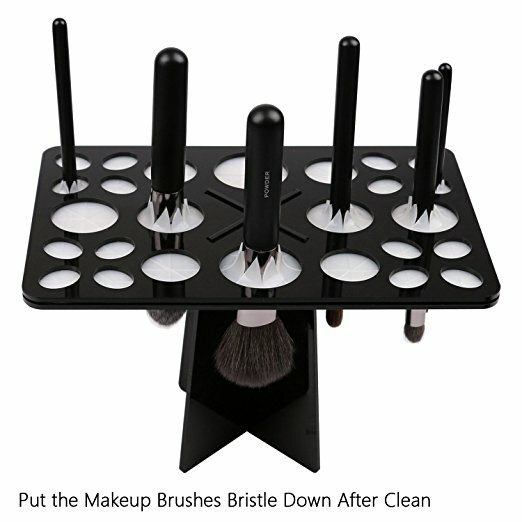 Professional makeup artists usually wash theirs more often, especially if they are using the brushes on multiple clients each week. But once a week is sufficient for general use. Gentle and Effective for your brush cleaning task.The perfect alternative to other harsher brush cleaners; Cleans without alcohol (which dries out bristles), does not contain any artificial colors, fragrances, preservatives, animal byproducts, and absolutely NO Animal Testing. Made in the USA. 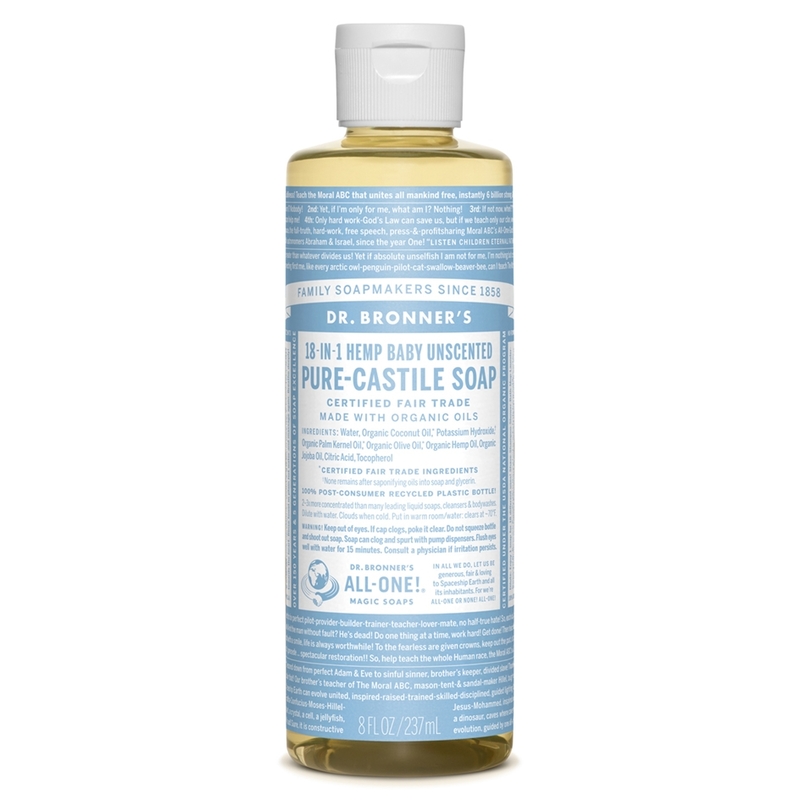 Ingredients: Saponified Organic Oils of Coconut, Olive & Jojoba, Vegetable Glycerin, Guar Gum, Rosemary Extract, Aloe Vera to provide a gentle yet thorough cleaning. This soap is completely natural, organic and cruelty-free. 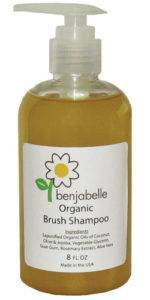 It contains coconut and olive oil which will help condition your brushes and keep them soft. It is a concentrate which makes it an economical choice as well. 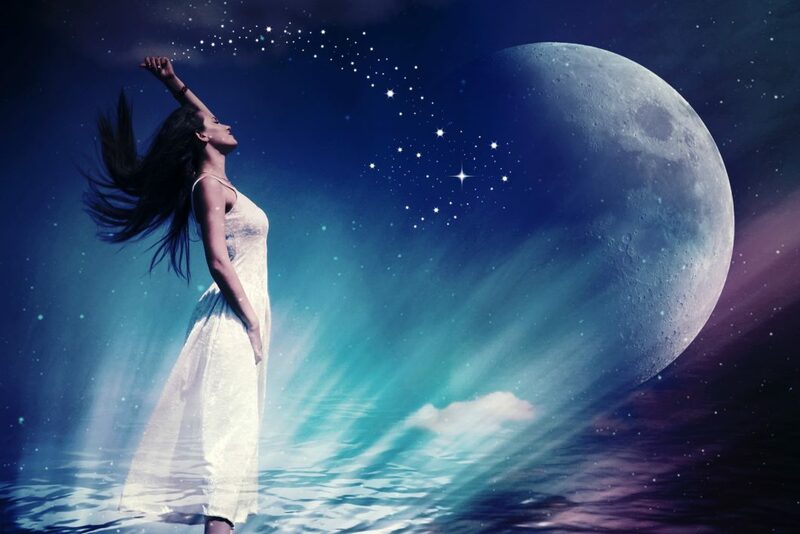 Run the bristles of the brushes under lukewarm water. Do not submerge the ferrule (the metal piece that holds the bristles in place) underwater since this may loosen the glue and cause shedding or the bristles to fall out altogether. Squirt some brush cleanser into your palm. Gently swirl the brush in your palm a few times. Rinse the brush under lukewarm water until it runs clear. Pat the bristles dry and reshape them. Let the brushes air-dry by setting them on a paper towel with the brush heads hanging over the edge of the countertop. To get on Amazon click HERE. I personally prefer to use a brush tree, which is a holder designed to dry your brushes while keeping them protected from dust and dirt particles. By drying your brushes vertically, you protect their bristles and keep water away from the ferrule which keeps them like new for a longer period of time. The super soft silicone grippers are peroxide-free and meet FDA safety rules. They will safely hold your brushes without damaging them. 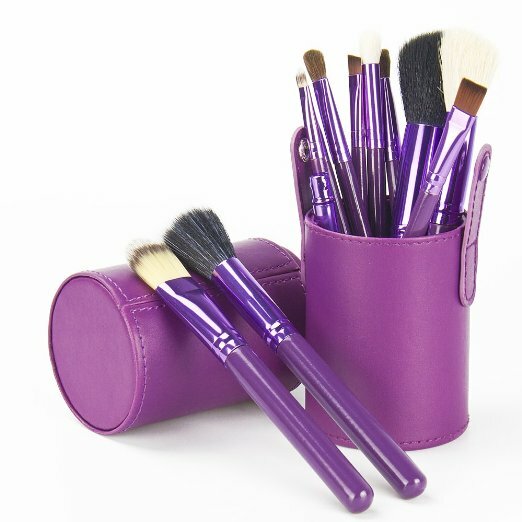 Once brushes are completely dry, store them in the case they came in or use a dust-free covered holder. For some great storage, ideas check out our post HERE. Here are my picks for the best sets if you are on a budget. I will start with the least expensive ones first and work my way up. These are great for beginners and pros alike. This is a great basic starter set. The premium synthetic bristles are dense, well-shaped, super soft, and will not shed. Check the current price on Amazon HERE. Brushes are made from a mix of high-quality synthetic and cruelty-free goat and pony hair fibers. The set comes in a beautiful faux-leather case with a care guide. Available through Amazon. For current the price click HERE. 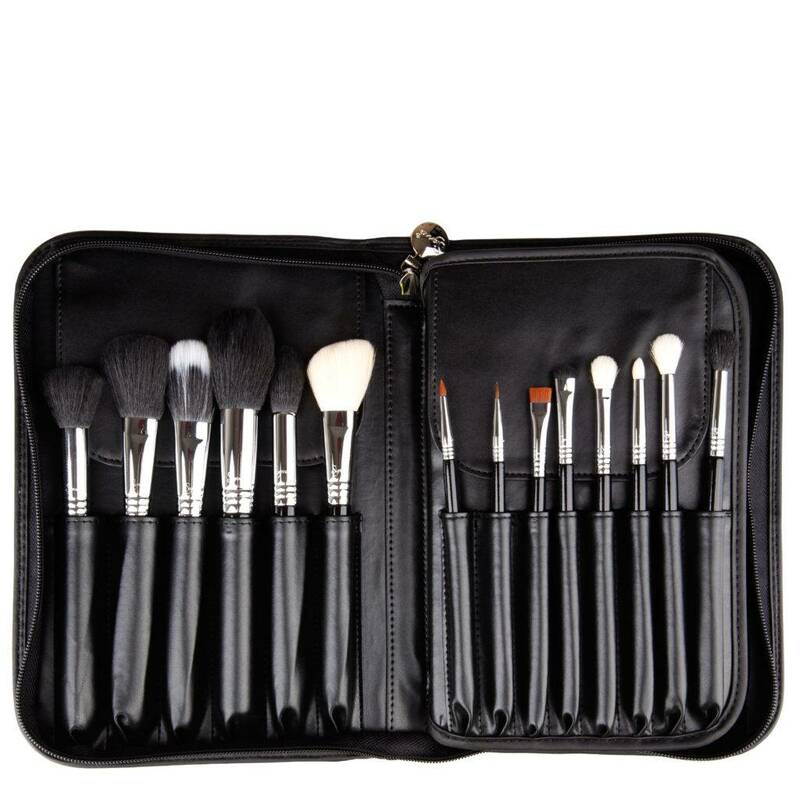 This sleek set was hand-crafted by professional makeup artists and is made from premium synthetic fibers with polished bamboo handles. The brushes are incredibly soft and will not shed. A drawstring carry bag and product manual are included. This 6 piece set has got it all! Handles made from sustainable, natural bamboo, the soft bristles are made from Taklon and the ferrules are made from recycled aluminum. Comes in a convenient carrying case made from natural cotton and hemp. It has everything you need to apply your makeup like a pro and is cruelty-free. Click HERE to get the current price on Amazon. This is an excellent and very comprehensive set. Perfect for makeup enthusiasts and professionals alike. The brushes are made from a mix of synthetic (nylon) and natural (goat and pony) fibers. They are cruelty-free of course and come in a beautiful leatherine case. Doe Foot Blender (Natural Hair). Large Liner / Brow (Synthetic). Medium Liner / Brow (Synthetic). Small Liner / Brow (Synthetic). A top choice on Amazon. To get the most recent price click HERE. On the higher end of the price spectrum, these brush sets are top-quality and designed for serious use. If you are a beauty professional or hard-core makeup user then you already know that you need a set that will last and last. 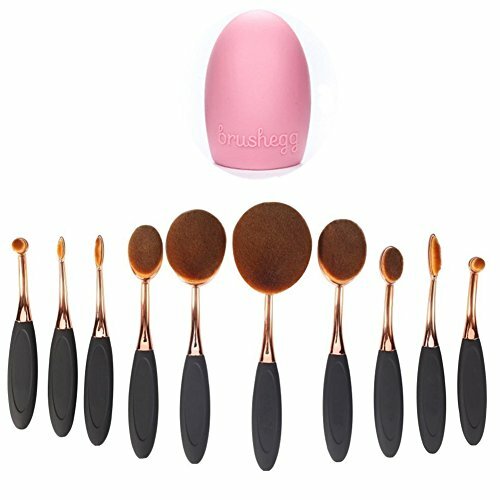 This beautiful oval set has all you need for daily or pro application. They can be used with liquid, cream or powder.The super dense and soft bristles will give you flawless makeup in seconds. The bristles don’t absorb too much product, which will save you time and money. Package includes 10 pcs, rose gold with black handles. Made with a premium blend of Premium Sable, Goat badger hair, Pony hair and microfiber bristles, these brushes are soft, resilient and long-lasting. During their unique design process, the company tested and selected over 220 brushes. Only 24 of those brushes made the final cut and became the Signature Collection. The Signature Collection is specially designed for the professional makeup artist or makeup enthusiast who wants their most essential brushes in one beautiful, convenient set. With beautiful oak and rosewood handles and a sleek, black finish, these brushes are the ultimate in sophistication. 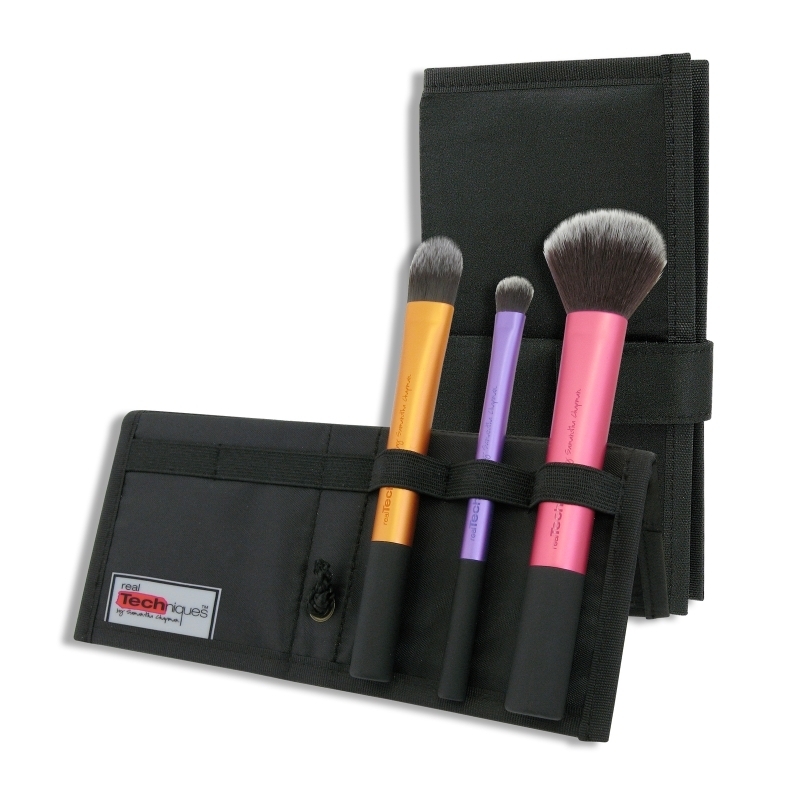 Each set includes a faux leatherette roll-up case for keeping your brushes in great condition at home and during travel. With hypoallergenic, antibacterial-treated bristles, these brushes will also help you avoid breakouts. 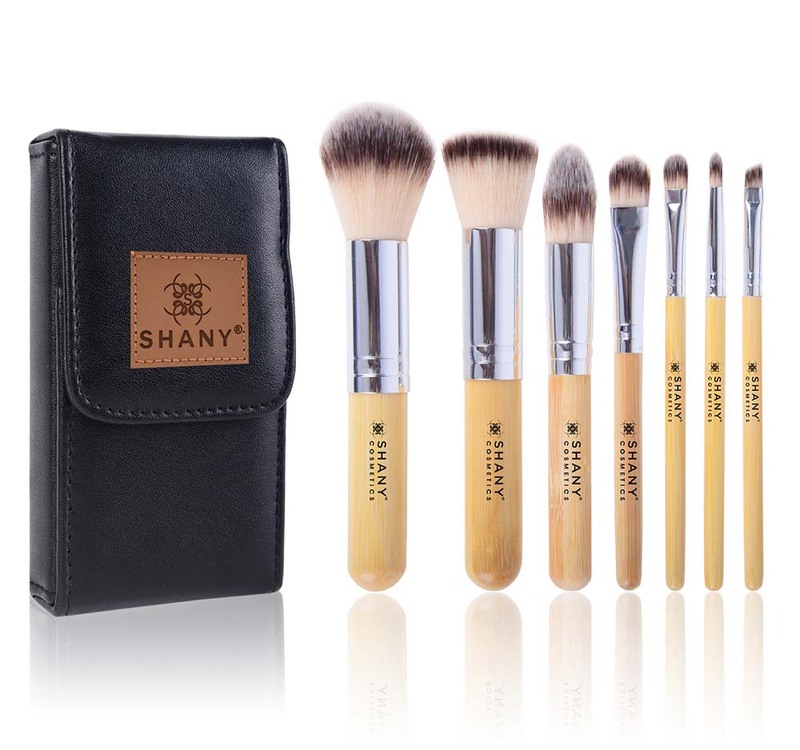 Create flawless makeup looks with the one and only Signature Collection from SHANY. Designed in the USA with a team of Makeup artists & fans, Proud member of PETA and against animal cruelty. 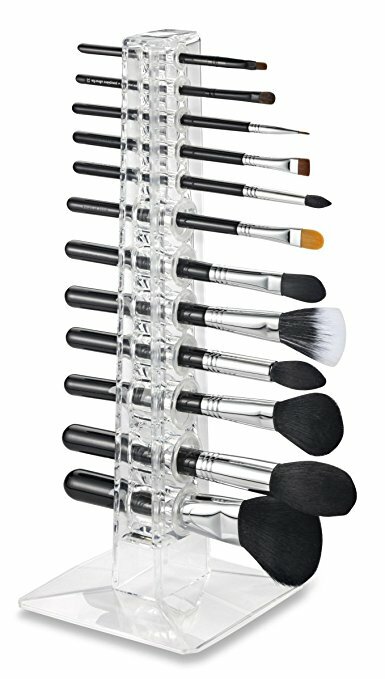 The 15-piece professional cosmetic brush set made from the highest-quality natural and synthetic materials, soft cruelty-free bristles which distribute any product evenly and effectively. 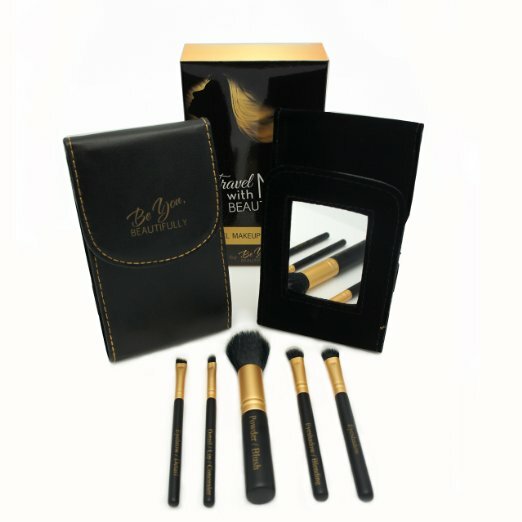 This set will become your go-to for all occasions, even travel, it contains a brush for every use. 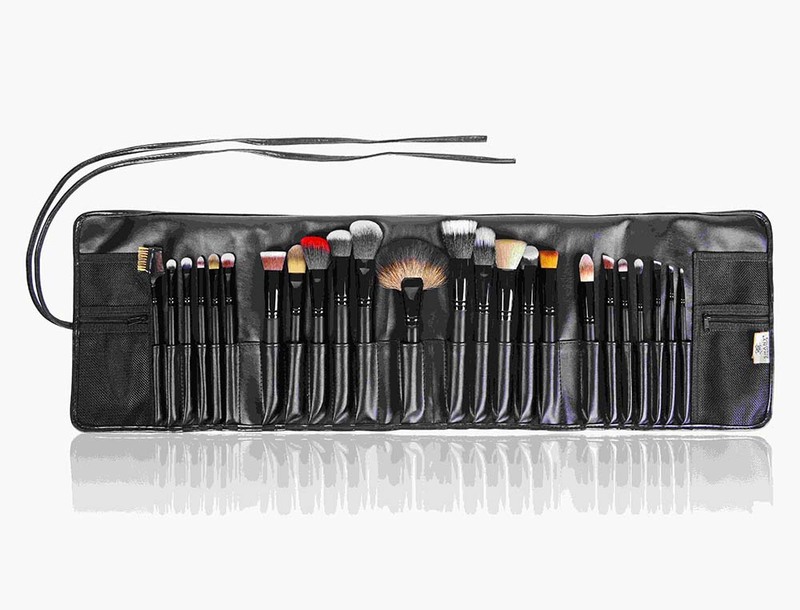 Comes with a chic high-quality hard travel case & a color guide detailing the best use of each brush. A unique set – brushes are named after the world’s wild cats, many of which are endangered. They donate a percentage of each purchase to the preservation of these beautiful creatures all over the world. Backed by Bella and Bear’s LIFETIME WARRANTY. For current pricing on Amazon click HERE. 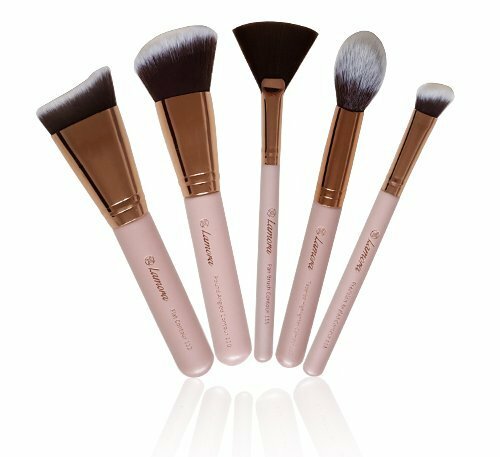 The Premium Kit contains fifteen signature quality brushes for the face, eyes, and lips. These brushes are as unique as they are versatile, and will be the perfect addition to complete your brush collection. They are made from synthetic and natural fibers that are cruelty-free. Comes with a beautiful zippered travel case and free two-year warranty! For the most up to date price on Amazon click HERE. The name really says it all. 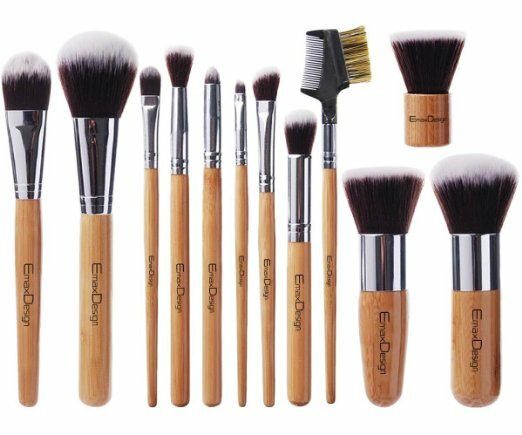 This is a lavish assortment of hand-crafted cruelty-free, synthetic and natural fiber brushes, that is probably the last set you will ever need. 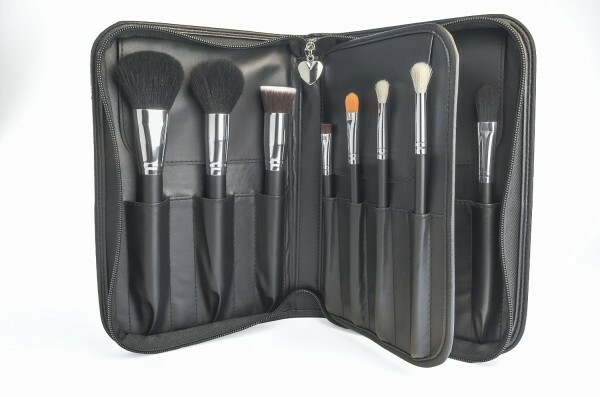 The Extravaganza Complete Kit features twenty-nine of Sigma’s best-selling brushes and comes with a deluxe carrying case, perfect for traveling and storage. Everything you need for a luxurious makeup application experience. Plus, a free two-year warranty is included! For current pricing and to buy on Amazon click HERE. Let’s face it, we don’t always have an extra 5 minutes to do our makeup. between rushing off to work, trying to catch that train or airplane and/or juggling family duties some days it just doesn’t happen. Looking for a small brush set that you can toss in your handbag or luggage? Having a good travel set is a must for any beauty who is on the go. A perfect set for tossing in your bag when you are on the go.The hand-cut hair design allows for an even and streak-free makeup application. Made from synthetic Taklon bristles, which are non-porous and do not trap or absorb product, bacteria and dead skin cells. These bristles are less prone to breakage or damage and are easy keep clean and maintain. Brush names on the handles make for easy reference when creating your favorite look. 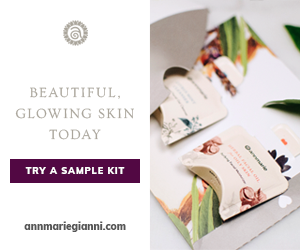 All Be You, BEAUTIFULLY products are made from the highest quality materials. 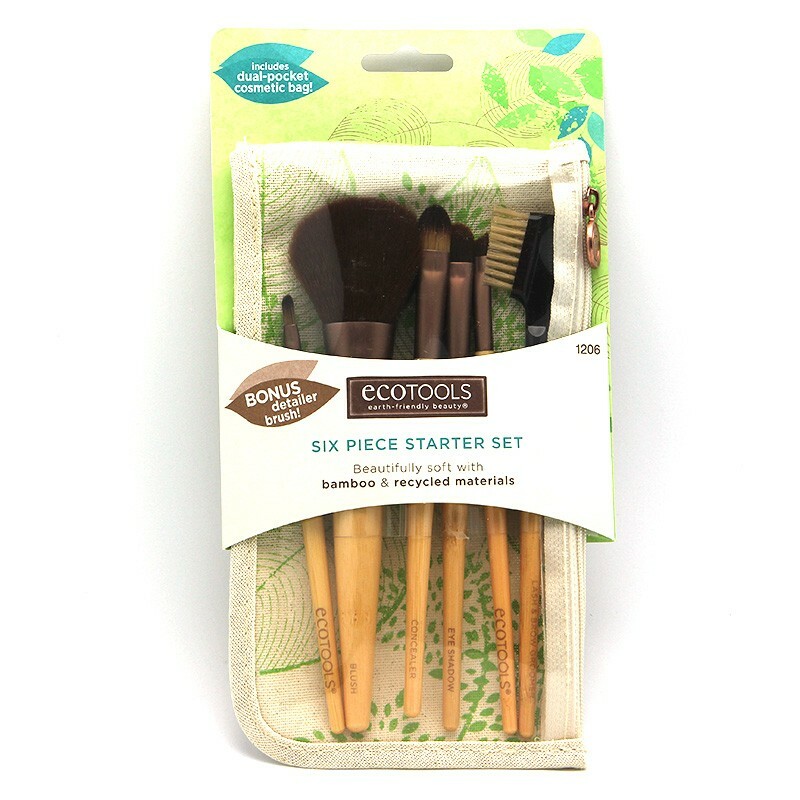 This set features super-sturdy handles paired with Vegan synthetic bristles for maximum durability as well as hygiene. The set also comes in a bonus Compact Mirror Case that is small and light. It will fit in right your purse, keeping your brushes clean and protected while you’re on the go. 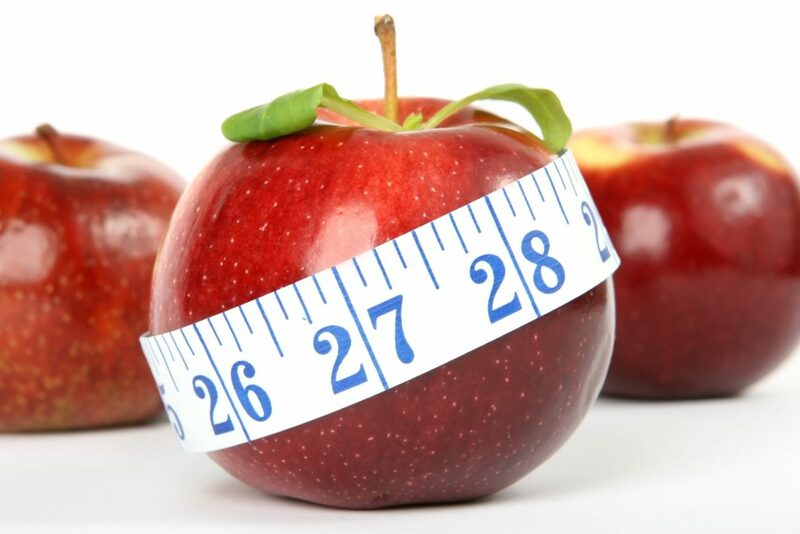 All Be You, products are backed by their Lifetime Money-Back Guarantee. If for any reason you’re not happy with your order, let their friendly Customer Service team know and they will give you a full, no questions asked refund of your entire order. That’s how much they stand behind their products and when you try them. The SHANY OMBRÉ Pro Essential Brush Set features medium-sized brushes perfect for daily use. 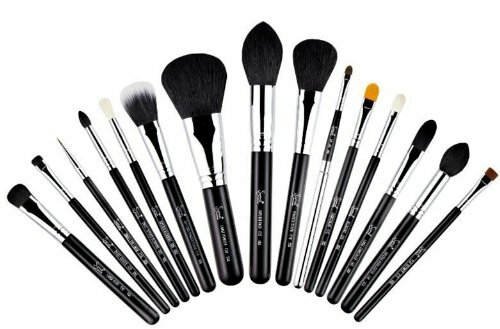 This set includes 10 synthetic brushes for powder, foundation, blush, bronzer, eyeshadow, concealer, and contouring. The set comes with an elegant travel pouch, that will tuck neatly into your handbag or luggage, and also includes detailed brush use instructions. Designed by makeup professionals in the US, this product is cruelty-free. SHANY is a proud member of PETA. The secret to flawless-looking makeup? Blend, blend, blend! If you are really into contouring and highlighting and need a fantastic blending brush or two then check out these babies! 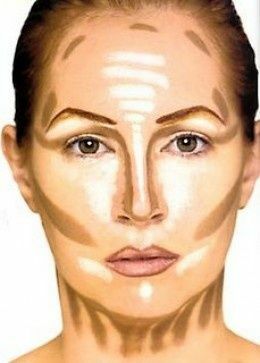 A strong contoured face is the new beauty standard. Your sharp and sculpted cheekbones are just one order away. Whether you´re looking for a chiseled, runway look or adding a bit more definition to highlight your natural beauty this set is great. THE 5 MOST WANTED CONTOUR BRUSHES – with an outstanding performance for all your flawless face shaping needs. For pricing and to purchase from Amazon click HERE. Use this dual-ended brush to create that professional contoured look you want in seconds. Crafted with sustainably harvested bamboo and soft, synthetic bristles. 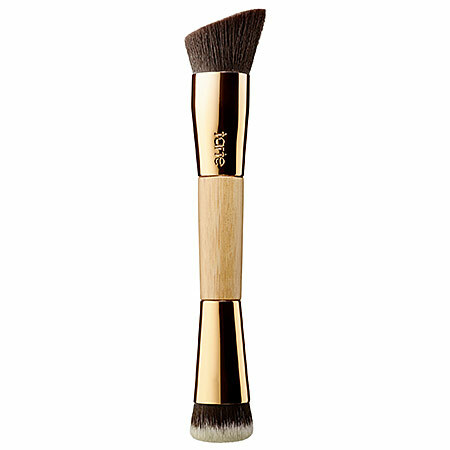 This easy-to-use brush seamlessly buffs the perfect contour using the denser, domed side of the double-ended brush. Blend away any harsh lines with ease using the fluffy, angled side for a flawlessly finished look. Vegan-friendly. For the most recent price on Amazon click HERE. 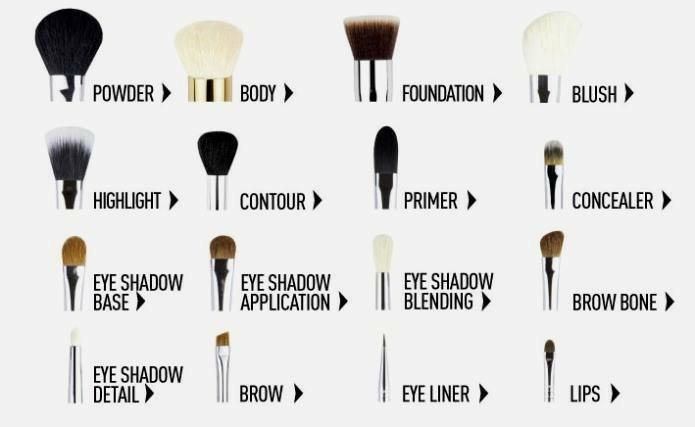 Which makeup brushes do you prefer? 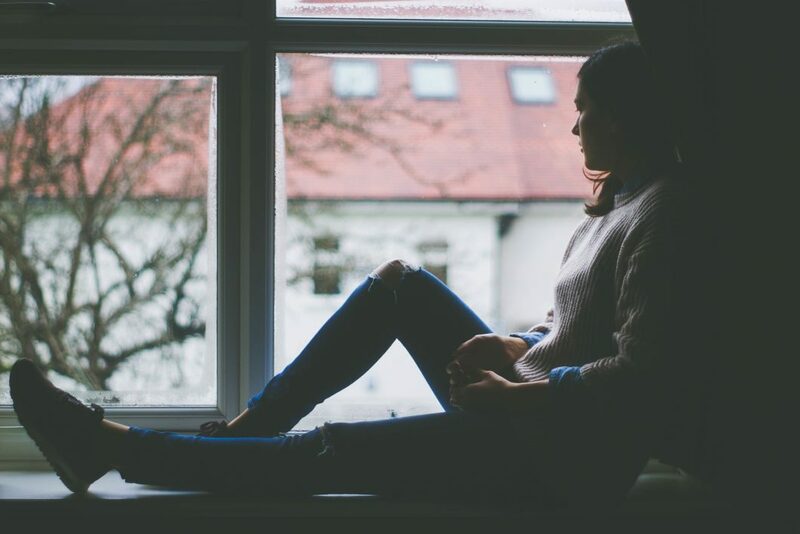 Are there any that you just cannot live without? Leave us a comment below. 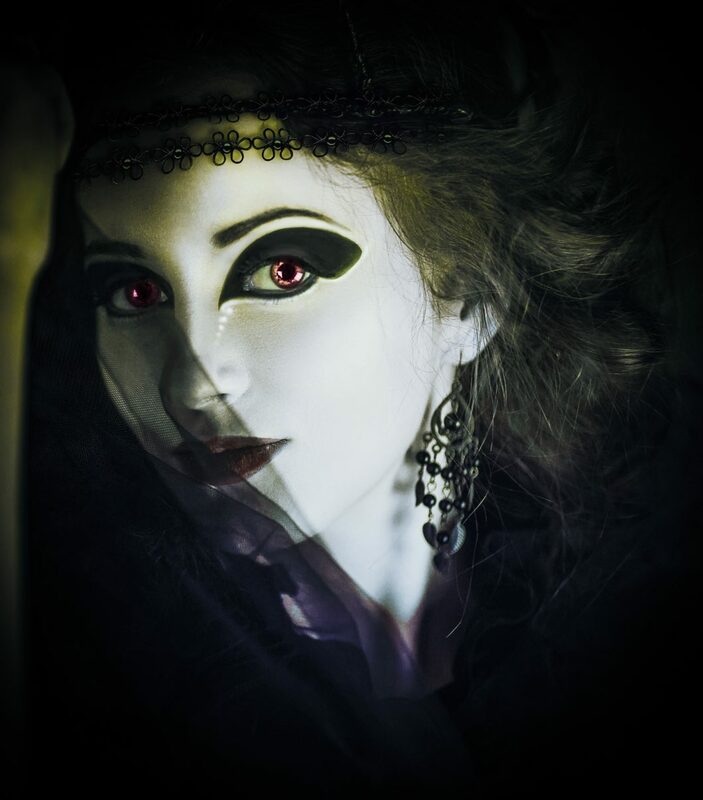 Next ArticleEye Makeup for Brown Eyes: Stand Out from the Crowd! 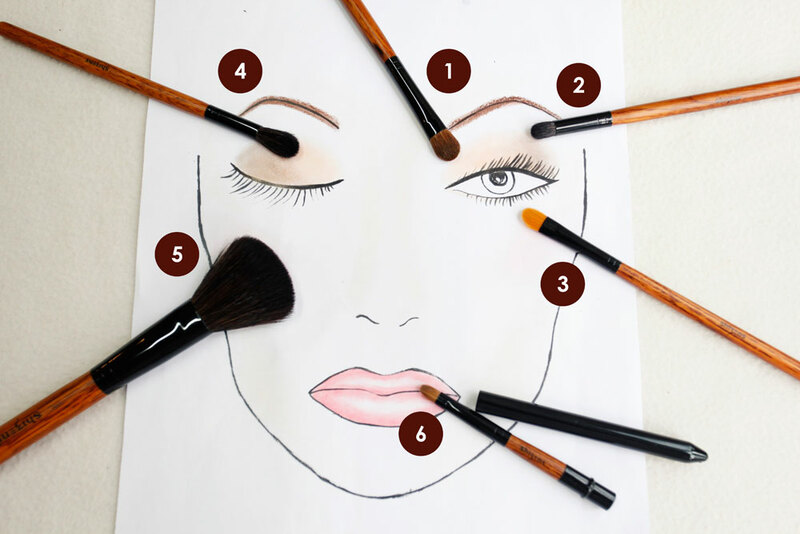 This is such a comprehensive article on makeup brushes! Thank you! One thing that you point out that I am embarrassed to admit to is the frequency of cleaning our brushes. I may do mine once a week or once every two weeks but only with some spray that came with the brushes. Obviously this is not doing the job in keeping them in good hygienic condition. I will get one of the soaps you suggest and do much better in the future!